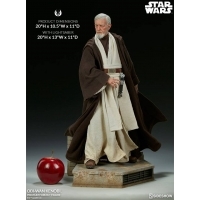 By buying this product you can collect up to 2052 loyalty points. 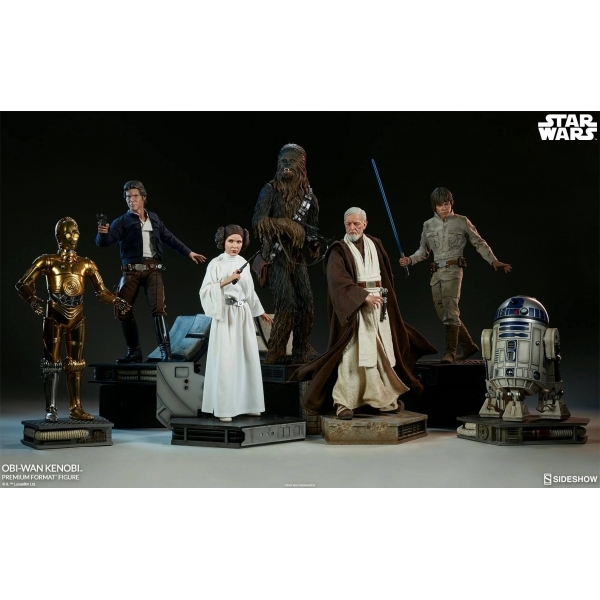 Your cart will total 2052 points that can be converted into a voucher of RM20.52. 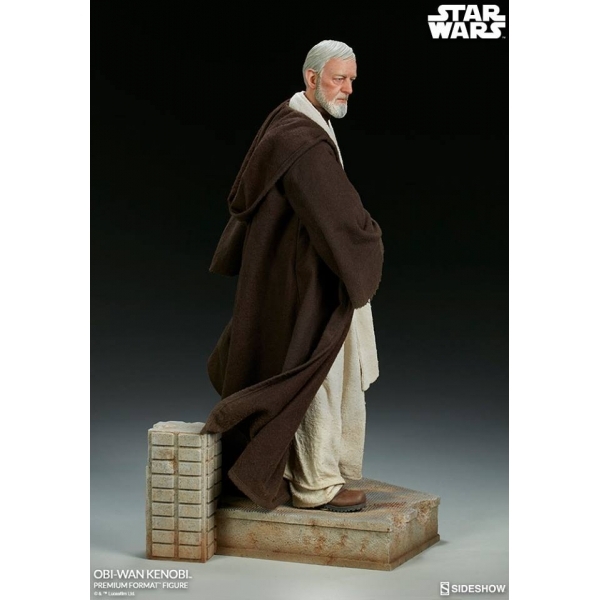 Sideshow is proud to present the Obi-Wan Kenobi Premium Format™ Figure. 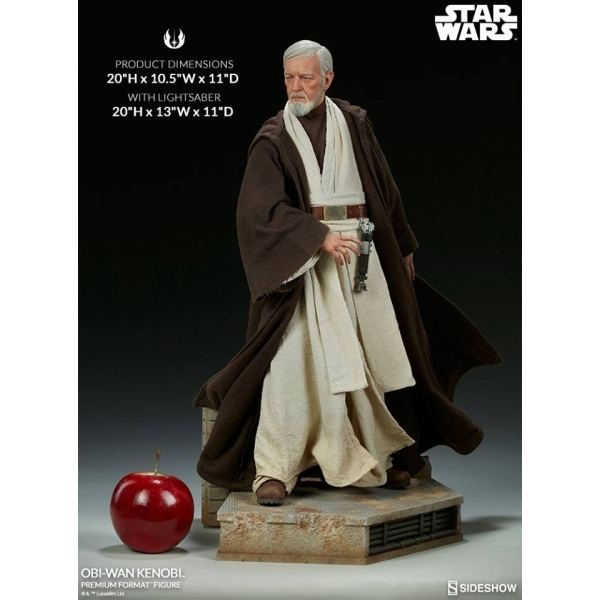 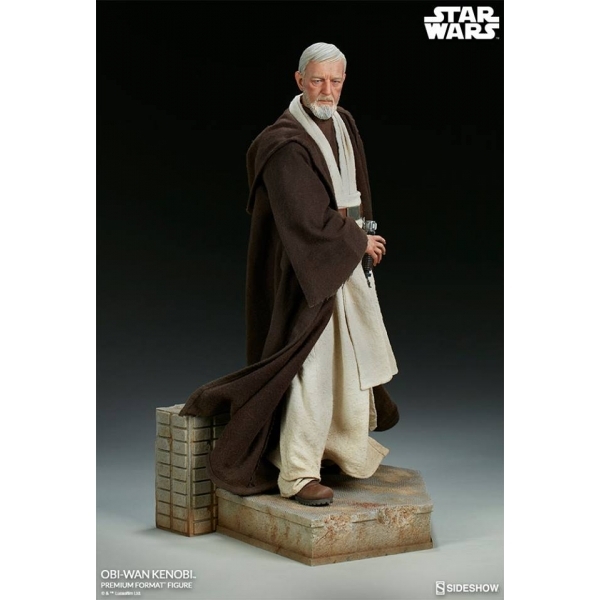 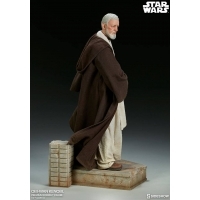 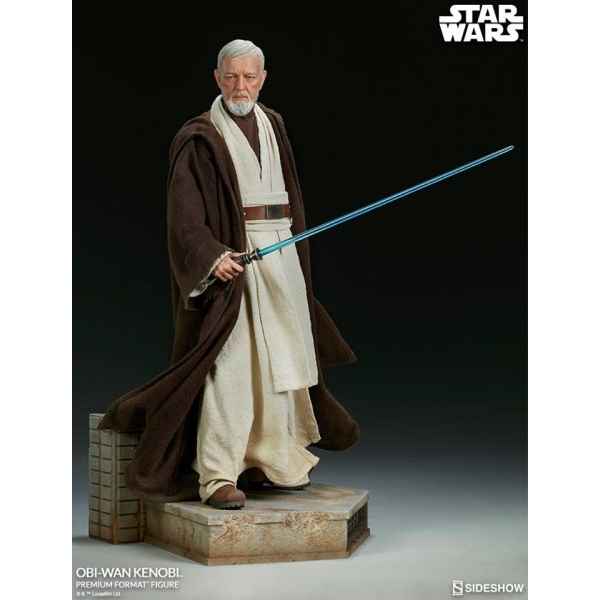 The Obi-Wan Kenobi Premium Format™ Figure measures 20” tall, standing on a polystone base inspired by the events in Star Wars: A New Hope. 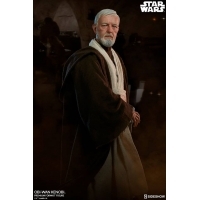 Obi-Wan has a detailed portrait sculpted in the likeness of Sir Alec Guinness as the old and stoic Jedi knight. 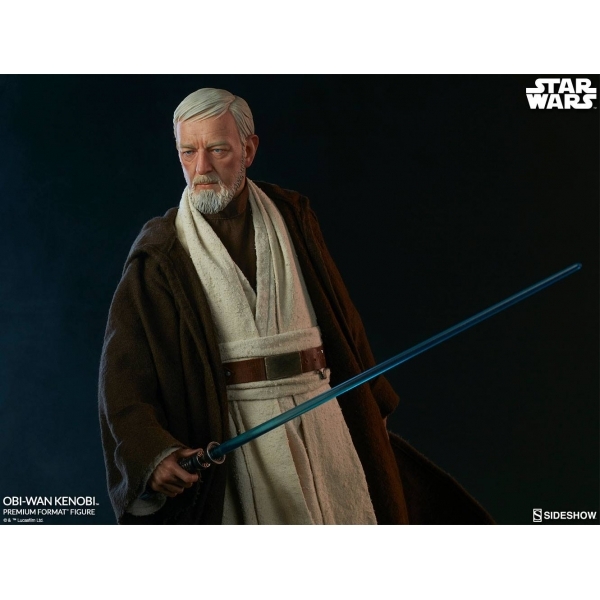 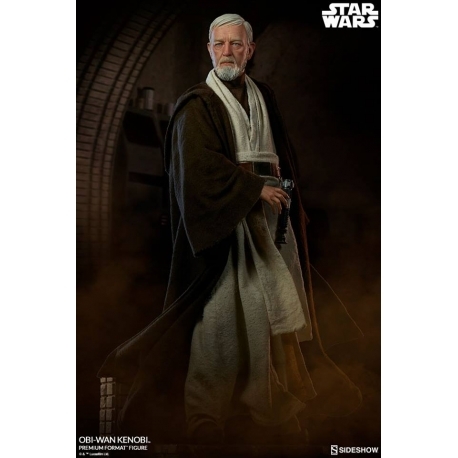 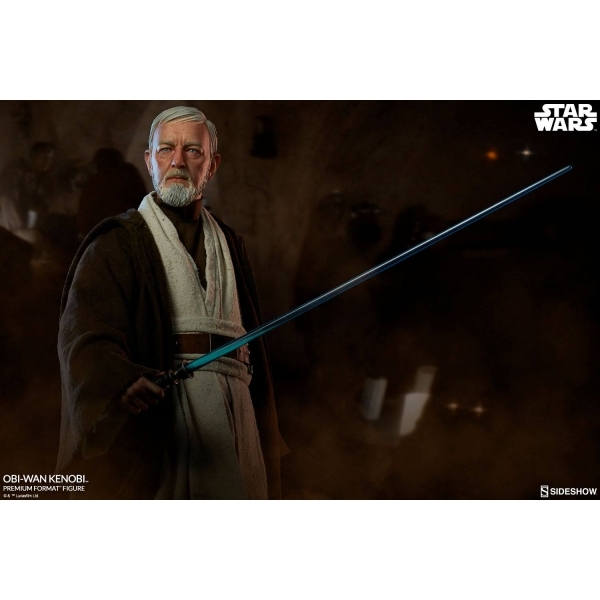 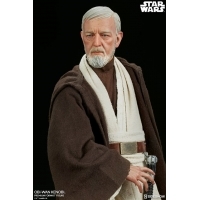 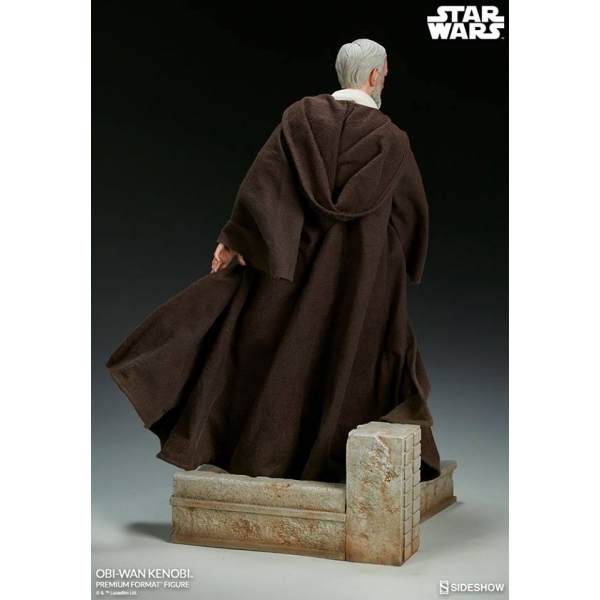 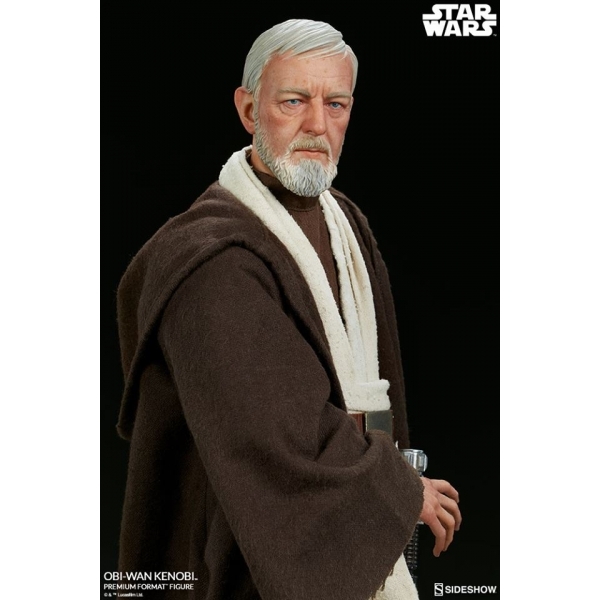 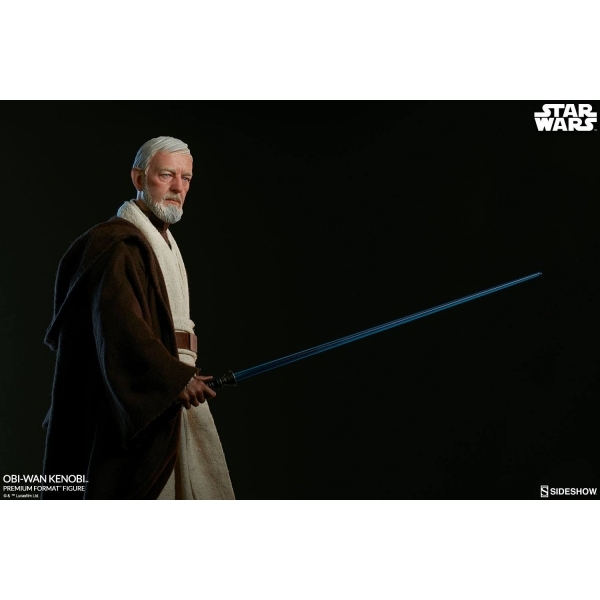 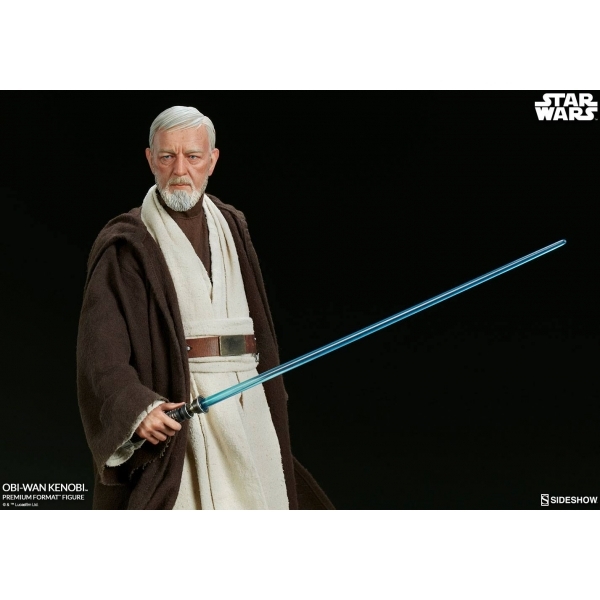 The Obi-Wan Kenobi Premium Format™ Figure wears a custom-tailored fabric costume, which captures the elegance of the Jedi’s robes, with details of aging and wear from his many years on Tatooine. His brown Jedi cloak has wiring to allow for dynamic posing. 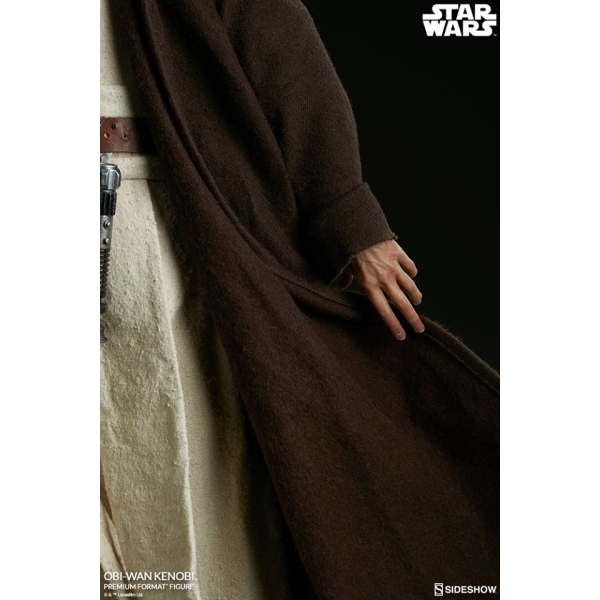 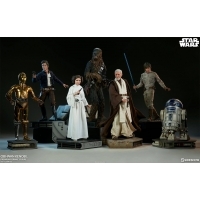 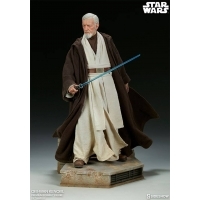 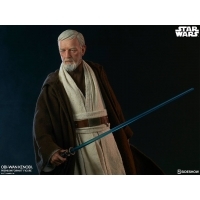 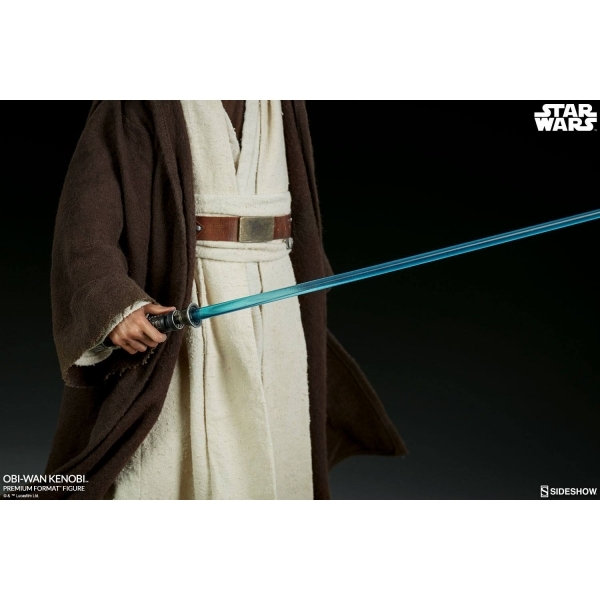 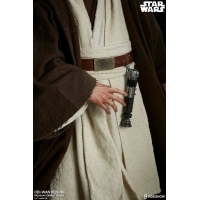 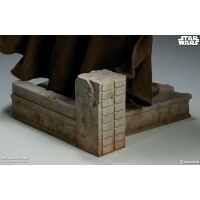 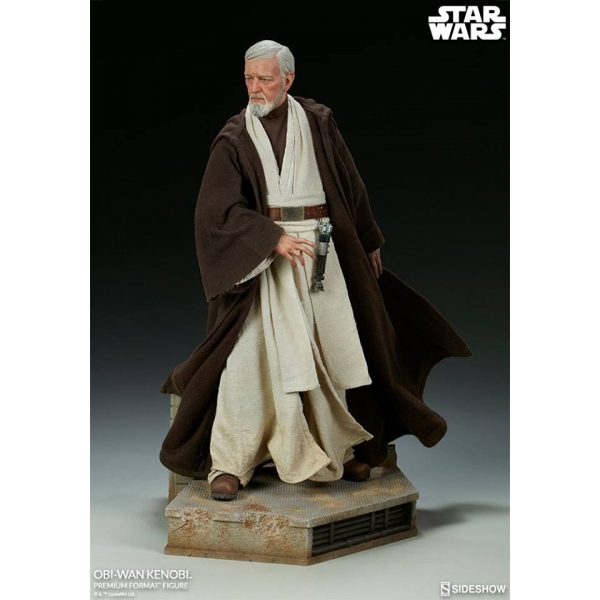 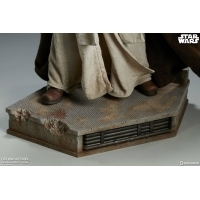 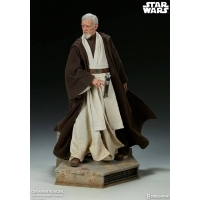 Obi-Wan has a polystone body and the figure includes two different right arms for multiple display options. 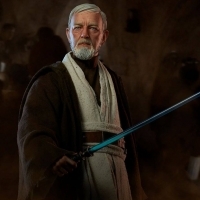 Show the Jedi knight reaching for his lightsaber hilt, which can be hung from his belt, or display him brandishing a blue saber blade to show that scum and villainy don’t stand a chance around old Ben Kenobi. The Force will be with you always when you add the Obi-Wan Kenobi Premium Format™ Figure to your galaxy of Star Wars collectibles!